\r\nDanielle de Niese's \"sweet, gleaming soprano,\" \"phenomenal musicality\" and \"sharply comic, yet utterly moving acting,\" combined with youth and physical presence, have launched her into a spectacular career. She has been called \"Opera's coolest soprano\" by the New York Times Magazine and \"not just a superb performer, but a phenomenal one\" by Opera News. \r\nThe Australian-born American singer who \"looks like a pop diva but sings like a real one\" (St. Louis Post Dispatch) regularly appears on the world's most prestigious opera and concert stages and has an exclusive recording contract with Decca. For her debut solo album, Handel Arias, released in 2007, de Niese was named New Artist of the Year at the 2008 ECHO Awards, received the 2008 Orphee D'Or by the Academie Du Disque Lyrique, and was nominated for the 2009 Classical Brit Award for Female Artist of the Year. Her much-lauded second recording, The Mozart Album followed in 2009 and her newest album Diva was released in July 2010 throughout the United Kingdom. \r\nThrough a combination of her recordings, live performance, and television exposure de Niese has gained wide recognition as a highly respected but popular classical artist, who combines effortless grace and class with the ability to communicate on every level. She is as comfortable on the small screen as she is on stage with no fewer than four BBC TV projects in the pipeline. She recently paired with Mika on ITV1's recent Popstar to Operastar series, and she is also the subject of her own TV documentary, Diva Diaries, which debuted on BBC4 television with high ratings in May 2010. \r\nMs de Niese's 2010-11 season begins with an appearance as Susanna in Le nozze di Figaro with the San Francisco Opera. She continues with Mozart at the Metropolitan Opera as Despina in Cosi fan tutte with William Christie conducting. In Vienna she assumes the title role of Handel's Rodelinda at the Theatre an der Wien under the legendary Nikolaus Harnoncourt. She returns to the Glyndebourne Festival in June 2011 for her first performances as Adina in L'Elisir d'amore. 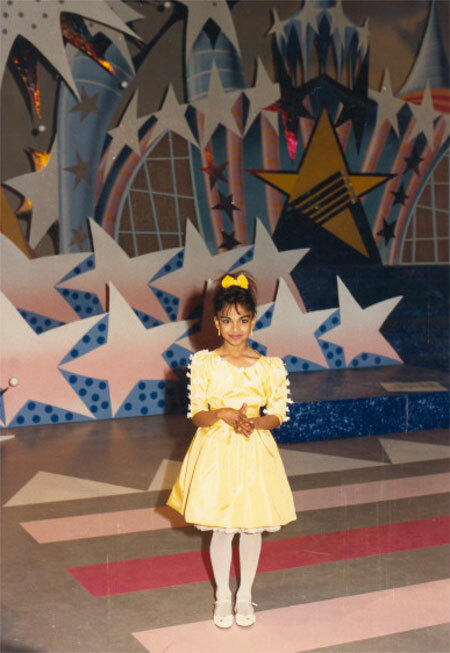 \r\nBorn to parents of Sri Lankan and Dutch heritage, Danielle de Niese grew up in Los Angeles. The soprano has been captivating audiences since childhood, when she was a fixture of Los Angeles local television hosting a weekly arts showcase for teenagers, for which she won an Emmy Award. \r\nMs. de Niese's career got off to a prestigious start when, at age eighteen, she became the youngest singer ever to enter the Metropolitan Opera's Lindemann Young Artist Development Program. A year later she made her Met debut as Barbarina (Le Nozze di Figaro) in Jonathan Miller's acclaimed new production with James Levine. Soon after came important operatic debuts with the Netherlands Opera, the Saito Kinen Festival, and the Paris Opera, but it was her portrayal of Cleopatra in a David McVicar production of Handel's Giulio Cesare for her 2005 Glyndebourne Festival debut that brought her to true international acclaim. My name is Danielle de Niese. I am an international opera singer who travels around the globe performing in opera, concert and recital for major venues and presenters worldwide. But every new assignment is a challenge and I never take anything for granted. Right now I am singing my first truly "comic" role at the Met -- the crafty, ever-resourceful, slightly jaded, but infinitely adorable and definitely stage-bound Despina in Mozart's Cosi fan Tutte. (The last performance is December 2). Though I have sung at the Met before (I was the youngest in their Met's Lindemann Young Artists' Program, and made my debut at the age of 19 as Barbarina in the 1998 new production by Jonathan Miller of Le Nozze di Figaro, which starred Cecilia Bartoli, Bryn Terfel, Renee Fleming, and was conducted by my mentor James Levine), I fulfilled one of my life-long dreams when I return last season to sing the lead role of Susanna in that same production -- an experience which was chronicled along with the release of my second album The Mozart Album (with the late Sir Charles Mackerras) on my BBC show Diva Diaries. In truth, my story is a bit like that of the Tortoise and the Hare -- but with a really interesting twist. I was born in Melbourne, Australia to Sri Lankan parents of mixed Dutch and Scottish ancestry (hence my Dutch surname de Niese), and for the first ten years of my life, Australia was my home. I was able to sing along with my mother (who took voice lessons herself and had sung in church choirs all her life) at the age of 1 and 2 in pretty perfect tune. I know this seems unbelievable; as a child I didn't even believe it, until my parents played me the home audio recordings they had made -- and I would listen to myself as a baby singing nursery rhymes and church hymns. My mom remembers I could sing even in harmony with her or keep time with piano and guitar and made myself noticed by generally holding forth in the kitchen to anyone who would listen. Like other people who knew early on they wanted to be performers, I remember talking to myself a lot, and playing out scenes on my own, pretending to be a person in a particular profession and acting out their job, or having whole conversations on my own. Singing all the songs I knew, singing them alone, or while out with my family. It was like already at this young age, I had a world that existed in song. My mom recalls how she took me screaming and crying to school on my first day, how her heart broke to leave me there crying. But soon after she left, she looked through the window and saw me with my head in the dress-up box, and the teachers would recount in the days and years that followed how difficult it was to pry me away from that dress-up box. My mom said she knew from that day that no matter what happened, I would always land on my feet. At 6 years of age, my parents enrolled me in song and dance classes; I can't remember any nervousness or anxiety about those first days in class. I remember the teachers telling us that we had enrolled too late in the year (mid-October) and that I couldn't be in the Christmas concert because all the other kids had been studying the routines and songs since January. A few weeks later, they called my parents to tell them, I had learned the whole complicated song and dance routine and would be in the concert. Soon, I asked my parents to be enrolled in private piano and music theory lessons, drama lessons, ballet classes, jazz classes, tap dance classes, karate classes, swimming classes -- hey, I tried it all! But it was the singing that captured my imagination the most. I would always look forward to Saturdays and jump out of bed to get to all my classes -- life was great! At 8 years of age, my mom enrolled me in private voice lessons with a classical voice teacher -- it was quite difficult to find a teacher who would take on an 8-year-old, but she found one. And then came the moment, the moment that people ask me about all the time: "when did you know you wanted to be an opera singer?" For me that moment was in those first lessons. I was already having great fun singing and dancing, acting, performing. But the moment I discovered I could produce a classical sound, I just felt inside my core that this was the most special way of expressing myself. It's a hard thing to imagine now that I'm an adult -- how did I know at 8? I'm sure I couldn't express it the way I can now. But to give you a snapshot, I drew a picture of two gigantic theater curtains framing a huge stage, and on that gigantic stage I drew a little girl wearing a big poufy dress standing all alone singing. I gave that picture to my mom and I told her this is what I want to be when I grow up. So yes -- I was the girl who, when everyone got up on career day at school to say they wanted to be a doctor, a teacher, a lawyer, a fire-fighter, a policeman, athlete, astronaut, vet, stood up and said, "I want to be an opera singer." My friends (the few I had) didn't even know what an opera singer was, but no one questioned it! I won a couple of competitions and found that what I truly loved was performing and connecting with audiences. At the ripe old age of 8 and 9, the newspaper headlines read, "Danielle is destined for critical acclaim," but I was just thrilled that someone wanted to take a picture of me in my pretty dress with all my competition medals. It's a love story, really. I fell in love with music at such a young age, and the love affair has never ended. I married myself to music from those first moments of inspiration. Everyone thought based on their predictions that my road to success would be quite effortless -- a dream ride. But they were wrong. My 20-year journey had only just begun. A classical career is a long and winding road. There have been many bumps along the way -- turmoil over whether I made the right decisions, and so many let-downs which I chose never to talk about because my parents raised me to hold my head up high no matter what blows life deals you, and to always dare to dream. I was soon to find out that choosing to dedicate your life to the pursuit of your art from such a young age can be a lonely life -- we moved to America when I was 10, leaving behind 140 family members to start a new life in the US. All in the pursuit of a dream. To quote Robert Frost, I took the road "less traveled," but there's a reason that the road is less traveled, and I'm still discovering all the twists and turns of that road. Get ready for the ride of my life!